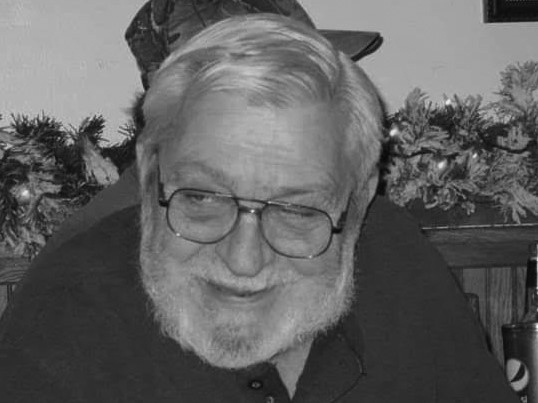 Charles L. “Chink” Bittner, 81, of Beech Creek, passed away on Sunday, April 14, 2019 at his home. Born on Feb. 26, 1938, in Howard, he was the son of the late George L. and Genevieve D. (Lytle) Bittner. On Feb. 11, 1957, in Spokane, Wa. he married Donna R. Marshall who survives at home. Chink was a 1956 graduate of Lock Haven High School. He enlisted in the United States Air Force on July 31, 1956 and received his honorable discharge on Sept. 30, 1960. He earned the rank of A/2C and received the Good Conduct Medal and the Air Force Longevity Service Award for his years of service. After being discharged, Chink went to work at Cerro Brass and Metal in Bellefonte. He retired after 30 years of service. Chink could fix anything both inside and outside the house. He worked on VW Volkswagens in his basement garage for many years. He once built a 1929 Mercedes from a car kit for a businessman in State College. He, along with his friend, Larry Sherman, organized the first Santa Jump in Beech Creek, a tradition that is still carrying on after many years. He enjoyed hunting and fishing. His biggest joy was being with his family, especially his grandchildren and great grandchildren. Along with his wife, Chink is survived by two children; Timothy L. Bittner and his wife, Valerie, and Sandra J. Geraty and her husband, Larry, both of Beech Creek, four grandchildren; Timothy C. Bittner, Anthony L. Bittner, Larry Geraty, Jr, and Angelique Hand and seven great grandchildren. Chink was preceded in death by his parents and six brothers; Lloyd, Don, Ken, Jerry, George, and Jim. Chink was the last of his generation. Visitation will be on Wednesday, April 17, 2019 from 6-8 p.m. at the Beech Creek Wesleyan Church, 217 Main St, Beech Creek, Pa. Funeral services will be on Thursday, April 18, 2019 at 10 a.m. at the church with Pastor Alan Eckenroad officiating. Burial will follow at the Hayes-Fearon Cemetery in Beech Creek with full military honors. In lieu of flowers, memorial contributions can be sent to the Beech Creek Wesleyan Church, 217 Main St, Beech Creek, Pa. 16822. Arrangements have been entrusted to Kader-Neff Funeral Home and Cremation Services, Inc. 135 Main St. Howard. An online guest book can be signed or condolences to the family available at www.kader-neff.com.